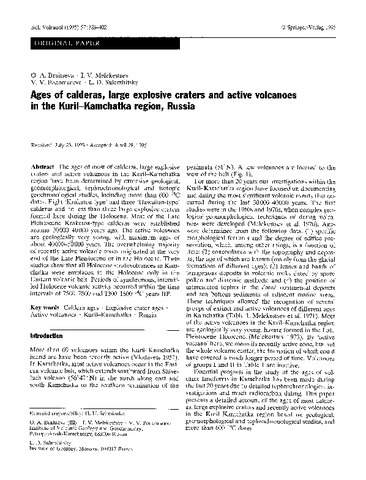 Radiocarbon dating is widely used when studying recent volcanic activity in the Kamchatka Peninsula due to the abundance of organic matter that is associated with the volcanic deposits. 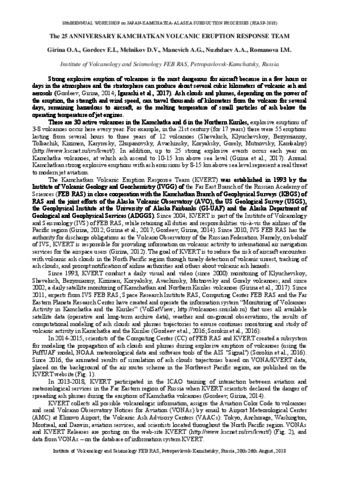 Here, we present the results of 14C dating of major volcanic events within the active South Kamchatka volcanic zone. 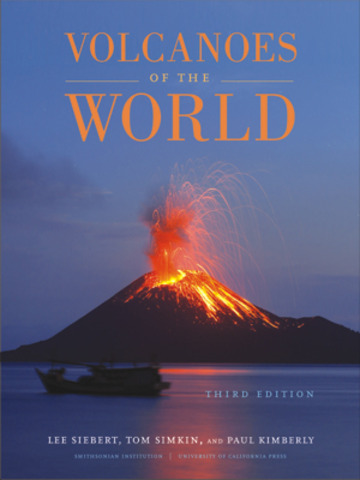 South Kamchatka includes 8 recently active volcanic centers (stratovolcanoes, calderas, and large craters) that have been erupting during the Holocene. Their tephras represent useful markers for both the southern part of the peninsula and the Northern Kurile Islands. 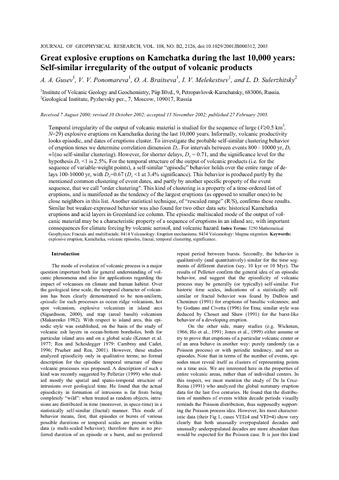 Since these marker tephra layers facilitate stratigraphic and tephrochronological studies in this area, it was important to determine their ages. We have obtained 73 new individual 14C dates on paleosol, peat, charcoal, and wood associated with the marker tephra layers, then complemented these data with 37 earlier published dates and analyzed the resulting data set. 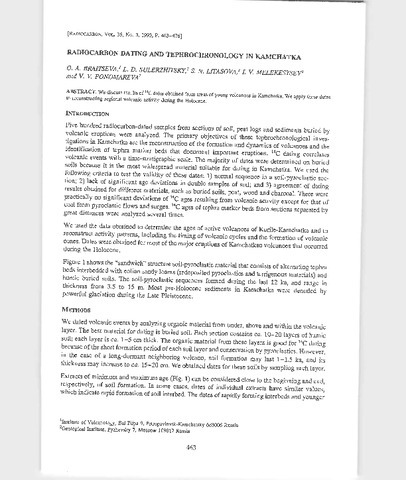 We selected the reliable dates and then obtained average 14C ages of marker tephra layers. 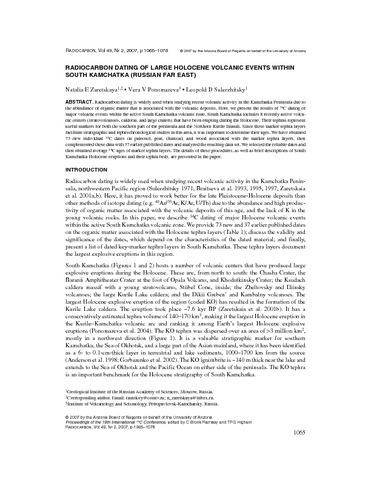 The details of these procedures, as well as brief descriptions of South Kamchatka Holocene eruptions and their tephra beds, are presented in the paper.